H286 UGP is Buckinghamshire's hose layer and tows one of the brigade's two rescue boats. 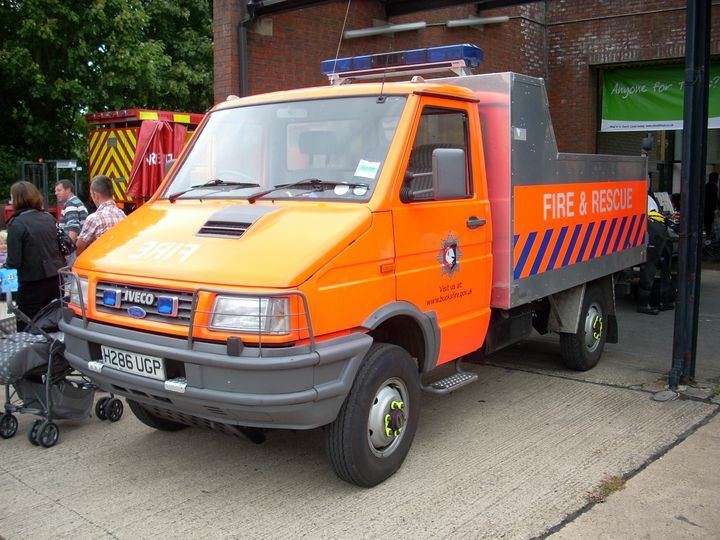 It is an Iveco Daily 4x4 with bodywork by Chambers Engineering of Aylesbury and is based at Newport Pagnell fire station but seen here at the Broughton station open day in Milton Keynes. Added by Michael Ludlow on 10 August 2008. Michael, you're only half right. It was pictured at Broughton but is stationed at Newport Pagnell. According to the Bucks FRS website Stokenchurch has the Unimog hose layer OY53 RJO. Added by Adam Floyd on 20 August 2008. Michael, is this appliance still used as a hose layer? or just for towing the boat or both? Added by Grant Melville on 20 August 2008. Added by Michael Ludlow on 20 August 2008.